Fun fact: Stybar finished eighth but wasn't in the top half of his team. Surely now Gilbert ranks as the finest classics rider of his generation? How, when he's never won Klasika Primavera de Amorebieta or even come close? Just reading that Van Aert had to ride the rest of the race on the small chainring after his crash wrecked the big one and he was already on his spare bike. Some were running 48t on the inside apparently. Follow the rules: Nils says “Ja” you take a sip or have a shot. Became pro, either because he was German U23 road and TT champ, or Eki won the lottery (choose him from a list of riders he didn’t know). He didn't have a computer either either. It was a weird crash, his front wheel just seemed to wash out, must have been something on the road. Nibali looks to be moving to Trek. I watched it a bunch of times looking for a cause and can only assume the road surface was dusty and he was going a bit too fast for the grip he got. Possibly more air in his spare bike's tyres. Very likely, since his bike handling is out of this world as you would expect of a 'cross world champ. 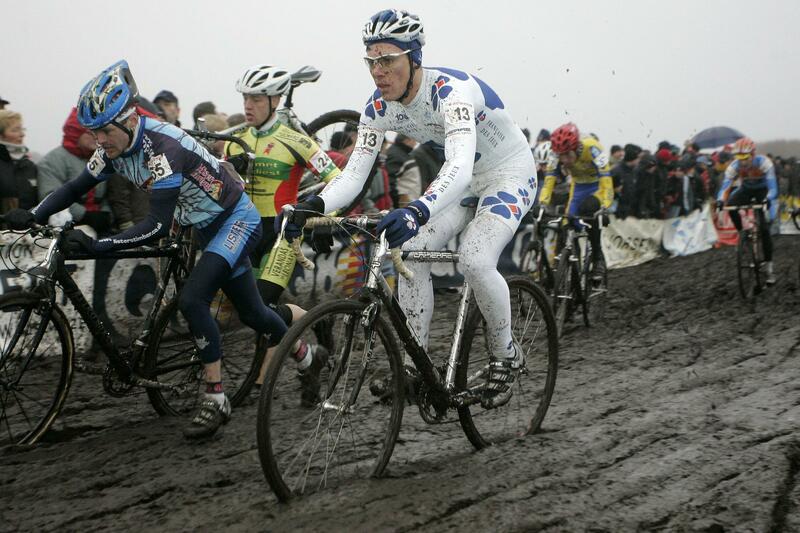 Has your beloved Betancur ever ridden a cyclocross race in full white kit? Pantano done for EPO. There seems to have been a few recently. His (almost) namesake would be proud. Crap. I remember seeing his Tour win. I make that him, Denifl, Preidler, Sioutsou all caught in the last year. They’re the ones who got caught. It does, and if you think too hard you would stop watching the sport. I am going to qualify that by saying at least cycling's dirty secret isn't very secret anymore, and the sport makes an effort to catch them compared to say football, where you have a manager of incredibly successful teams who was popped for drugs during his playing career. Cycling is way ahead of football but come on, JV, Vino, Lefevere?